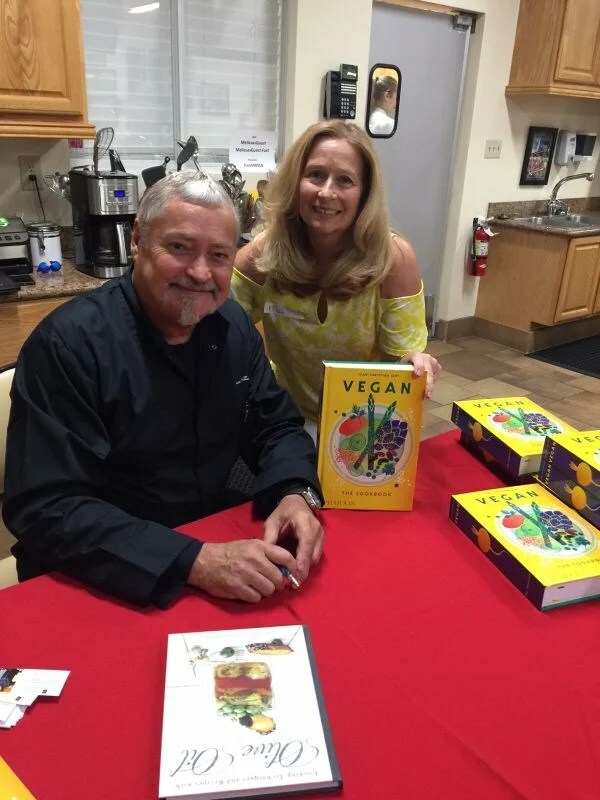 When we were invited to attend this vegan book signing at Melissa’s Produce I was a little apprehensive to attend. Why? I took one look at the thickness of this cookbook and felt intimidated of it’s content. 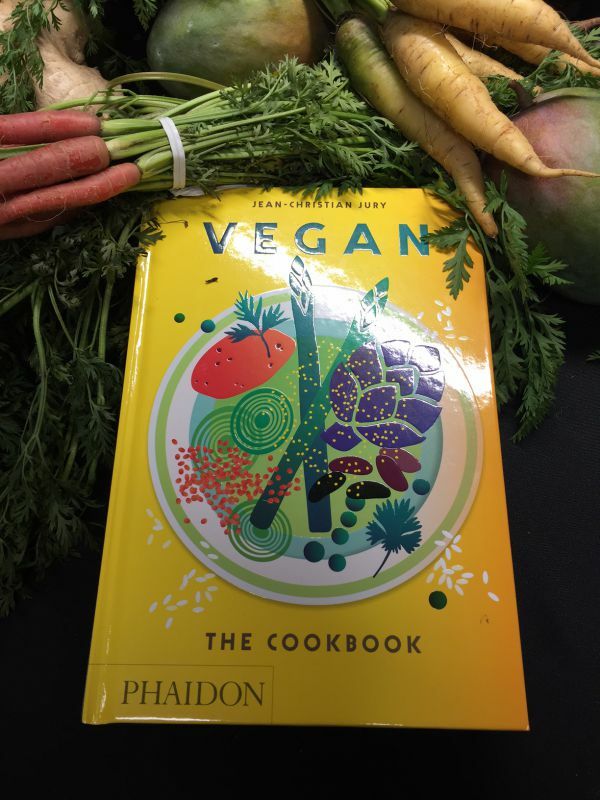 Vegan Author, Chef Jean wrote the largest and most thorough book on Vegan food I have ever seen. With over 800 recipes, you will always have a reason to turn to his book for any advice on vegan cooking. But it’s a gem to add to your collection, in other words I’m keeping my copy. I have cooked from it several times already, and have so much more to learn, Below is the recipe I chose which was the Five-Spice Stir-Fried Soba Noodles. Unbelievably unique and a keeper. When we arrived at Melissa’s we had the most beautiful and delicious luncheon prepared for us. I feel it was the best one yet. His dishes varied with worldwide spices, varieties of unique vegetables and unique techniques. 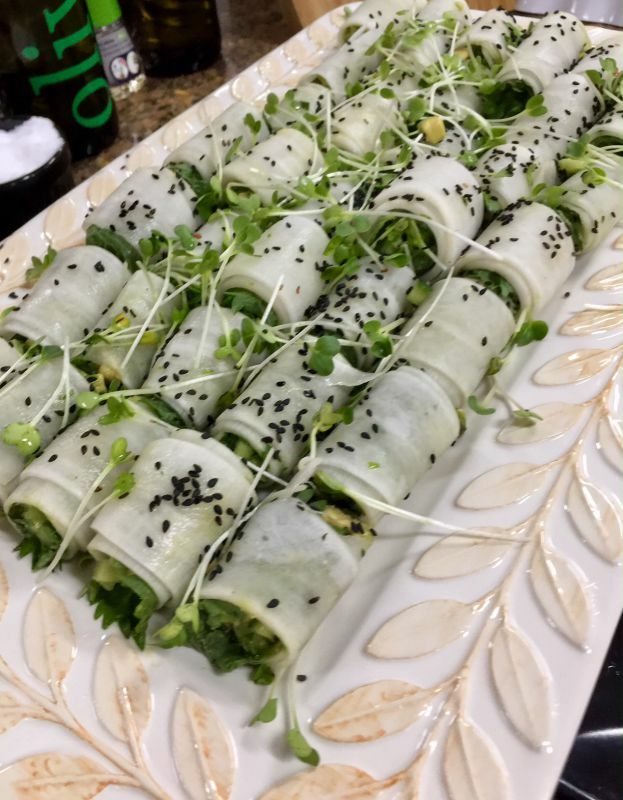 For example he used thinly sliced daikon radish for wrappers in this lovely refreshing avocado and micro greens appetizer. 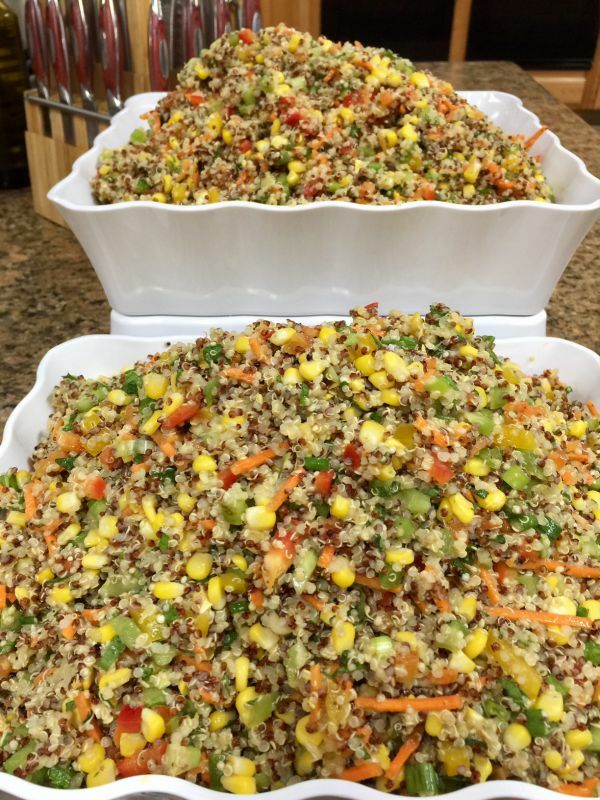 This quinoa salad was refreshing and a treat to eat with the fruity mango dressing that accompanied it. He paired the mango dressing with ginger, lemon zest, and a vegan cream. Oh my! These were absolutely over the top appetizers. 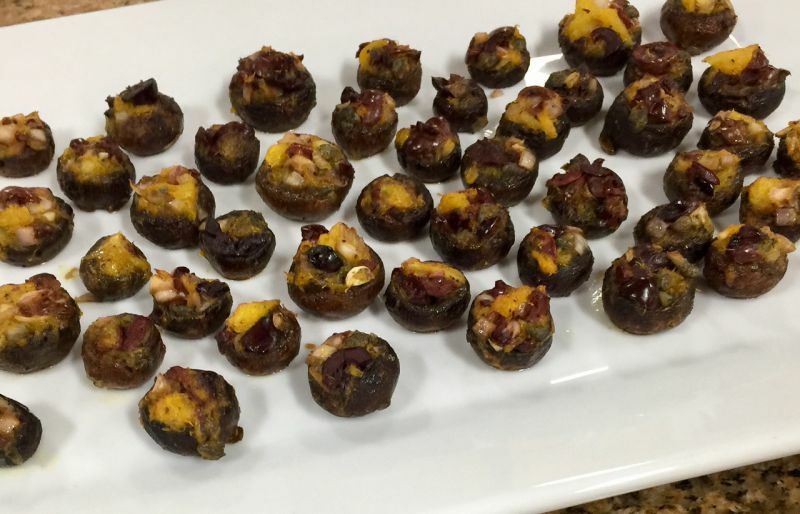 Stuffed with all my favorite ingredients oranges, olives, and capers. I think I ate 5 or so of these! The BEST dessert are these Pomegranate and Semolina Cakes with rose water and almonds what can go wrong? These I stuffed into my purse for later, as we drove back home. This menu and day was so very special and the Chef was the kindness and talented man with patience of a soul as he explained and defined his version of Vegan food. Have your ingredients all measured out, which we call mise en place. Very important in a stir-fry recipe where you need them all at once. Add your first group of vegetables and cook till softened. Add the sauce and cook until thickened. 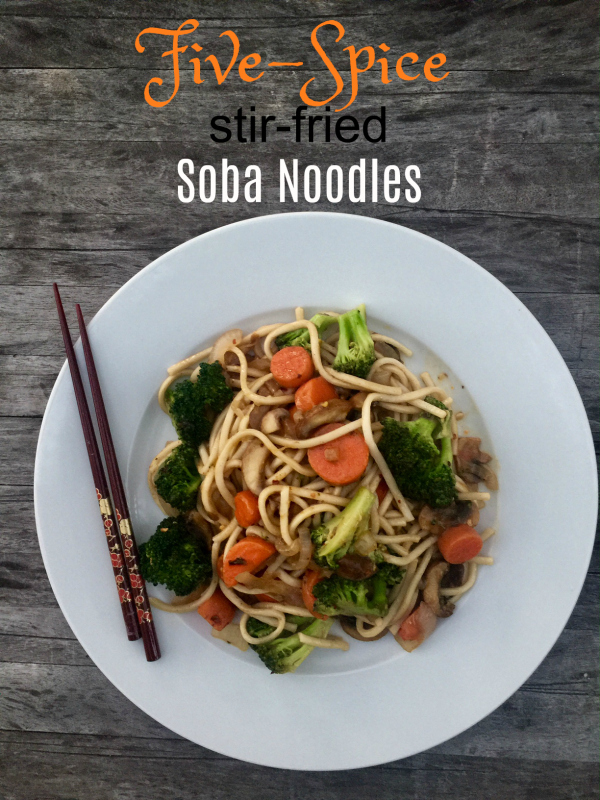 If you can’t find soba noodles use udon noodles as a substitute. The flavors in this dish just pop with flavor as the five-spice paired with the vegetables and soba noodles are stir-fried for a unforgettable meal. 1. Cook the soba noodles according to the instruction on the package. Drain and return to the pan. Stir in the vegetable oi or olive oil, toss to coat. Cover the pan and set aside. 2. To make the sauce: Combine all the ingredients in a large bowl and whisk until well blended. Set aside. 3. To make the stir-fry, heat the oil in a deep saucepan over medium heat. Add the mushrooms, carrots, onion, and garlic and stir fry for 5 minutes, until onions and garlic are golden. 4. Add the broccoli florets, cover the pan and cook for 5-8 minutes, stirring occasionally, until the vegetables are crisp-tender. 5. Add the sauce, and stir- fry for 3 minutes or until sauce has thickened. 6. Transfer the soba noodles to a serving bowl. Pour the vegetable-sauce mixture over the noodles, toss to combine, and serve immediately. A big thank-you to Robert Schueller from Melissa’s Produce for the wonderful luncheon and vegetables.